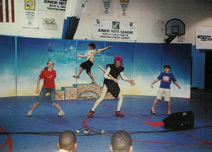 Magical Music began its first family musical, The Adventures of Zak, in the year 2000. The story focuses on an energetic alien from a distant comet on a special mission to earth to get three children to believe in themselves. 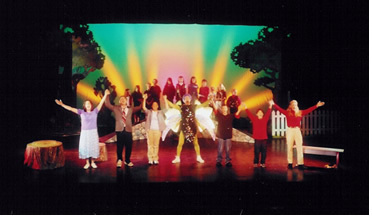 The 70 minute production features seven actors, four adults, and three children. It includes fourteen songs, each fully orchestrated and recorded. The show successfully toured in many professional theaters throughout New York and the northeast, entertaining children and families of all ages, while at the same time raising money for many national and local pediatric charities. In 2003, in order to bring the show to more children, a second version was produced. Trimmed to 45 minutes and redesigned with less technical requirements, The Adventures of Zak was then able to be performed in schools, hospitals, and Boys and Girls Clubs as well as professional theatres. In all its years of being performed, The Adventures of Zak has been presented to over 25,000 audience members in 40+ different theatres in 7 states and Washington, D.C. for 43 different pediatric charities, organizations, and events. Close to 1000 children were given the opportunity to sing in the finale alongside the actors as a featured Guest Chorus.